With summer vacation coming to an end for many families with school age children its time to get ready to go back to school. 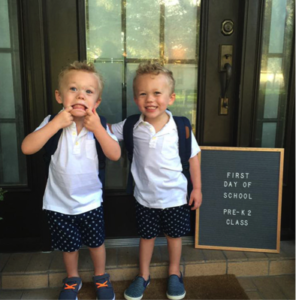 The transition from carefree summer days to structured school days can be tough and takes some time getting used to. For many children it will be smooth, while for others it can be challenging. About a week before the first day of school, start your children’s bedtime routine earlier each night and wake them up earlier as well to match the upcoming school routine. Not only is it important to institute bedtime and wake-up schedules, but it’s also essential that youngsters receive recommended amounts of sleep (Lack of sleep can negatively affect children’s physical and emotional health and their ability to learn). 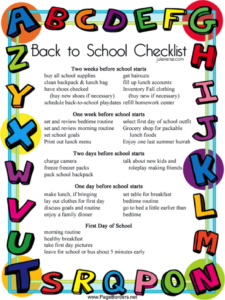 When you engage kids in the planning stages of back to school it can make the transition easier. You can pick up things together, such as schoolbooks and supplies (stationery, school bag, water bottle uniforms, etc.,) and when possible let them choose. 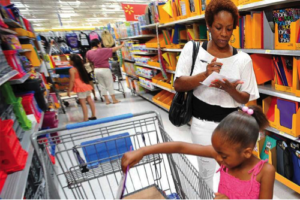 By selecting the items, it gives them a feeling of being in charge of their school things and encourages the mindset of back to school. While there are children who read in summer, you have lots of kids that take a mini-vacation from books all together! Try to find fun ways to read before school starts as it can help ease the transition back to academic life. For younger children you can read together (take turns) and for older children get them to read a chapter or two each day depending on their level and abilities. If they don’t want to read a novel, you can get them to read an excerpt from a reference book on a certain topic (they can also browse on line with you for a topic they want to know more about). Some publishers, like National Geographic, have great reference magazines with facts and cool stories that kids can also read up on during their spare time. This is an ideal time to make sure your child is in good physical and mental health, so children and teens should have annual medical checkups (this can include an eye exam and dental checkups). You should also see if they are up to date with vaccines. If you have any specific concerns regarding your child’s physical or psychological development (more on this below – tip 10.) speak to your paediatrician or a specialist. Start to limit (if not totally eliminate) screen time especially an hour before bedtime. The light that is emitted from screens (tablets, smart phones and other devices) can be stimulating and delays the onset of the sleepy hormone melatonin. This can result in children having difficulty sleeping right away. Use the time right before sleep to read, do puzzles, do a board game or play quietly. 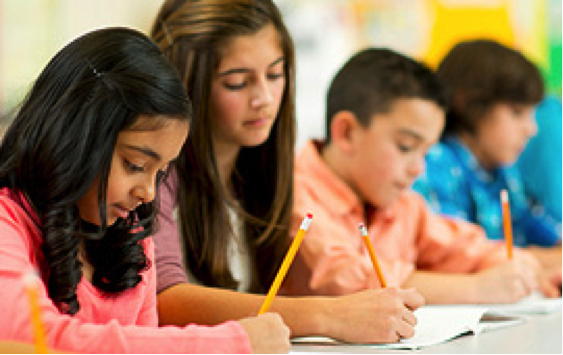 Before school starts, sit down as a family and discuss the afterschool rules. You can go over the following: when and where homework should be done; the amount of time allowed for watching TV and playing on electronic games; and what school activities to do and how much of it can be juggled – such as music classes, art classes, sports or scouts. While mornings can be extremely hectic, it’s crucial – particularly for youngsters – that breakfast not be sacrificed due to the morning rush once school starts. Research has shown that breakfast is the most important meal in relation to academic achievement, children’s health, cognitive development and mental health. Also make sure they start having it early before school starts, as during summer breaks children often eat later breakfasts and they get used to this slower pace of having their first – and most important – meal. You can prepare a calendar in a communal area, such as the kitchen or TV lounge, that lists each family member’s appointments, activities, events, due dates and test dates. You can also help your child develop a personal organizational system to stay on top of assignments, tests and important dates. This can be put on a white board, a chalkboard, a day planner or a smart phone’s notes function. Usually when school starts, as parents, we can get bombarded with information sent home by the school – either via paper memos or updates that are posted on-line. Try not to procrastinate reading them or put them away without even reading them. Immediately review all materials sent home by the school, as these often include important information about requirements, expectations and events. As a second step, make note of any important dates in your calendar so you don’t overlook them when the time comes. At the start of the semester, drop a note to your child’s teachers (or section supervisor), letting them know that you’re interested in receiving regular feedback regarding how your child is doing. Also be sure to attend back-to-school functions, PTA meetings or any of the meetings for parents to meet the teachers. Don’t shy away from addressing any concerns about your child to the teachers. While some students are excited to start a new school year, others dread it to the point of debilitating anxiety. The reasons can be very broad, ranging from separation anxiety to previous bullying to the existence of an undiagnosed mental health issue or due to specific learning difficulties. Parents concerned about their child’s mental health should first contact their child’s paediatrician to rule out any physical health conditions as a cause. Have a long talk with your child as well and, if you feel that you are not able to understand or resolve your child’s anxiety and there are no physical issues, the next step would likely be a referral to a mental health specialist, such as a psychiatrist, psychologist, and educational psychologist (who can asses any existing learning difficulties, such as dyslexia or ADHD), therapist or social worker. Try to speak to your child’s teacher before school begins or after school (if you can arrange for a quick meeting). Tell the teacher about your child’s favorite toys/characters, coping mechanisms when your child is upset, and favorite things he/she likes to do. If your child’s preschool allows this, pack something from home that your child loves. It could be a beloved teddy, a small blanket or a bedtime story book that your child can hold onto and look at during the day. Comfort items can help reassure them during hard times. You could also give your child a personal belonging of yours, like a favorite scarf or a mitten, so they know you will come back to get it. If possible arrange get-togethers with some of your child’s classmates before school starts. If you don’t have any contacts before school starts, speak to other mothers during the first weeks of school to arrange it. It will help your child re-establish positive social relationships with peers. Don’t Stress and Enjoy the Ride! The degree of adjustment depends on the child, but parents can help their children (and the rest of the family) manage the increased pace of life by planning ahead, being realistic, and maintaining a positive attitude. Remember, most children are pretty resilient and, with your support and encouragement, will thrive throughout their school experience. Remember most of all, as parents, to also have fun and enjoy the experience (the transition and the school year ahead) along with your children! These are precious times with your children before they are all grown up and leave their nest!